We have all done it: we buy a new appliance and we believe that we can install it in our home by ourselves. Days or even weeks later, we find ourselves reluctantly calling an electrician in Bondi to come to the house and finish what we started. What we view as a simple ceiling fan installation is much trickier and may be best left to a professional. 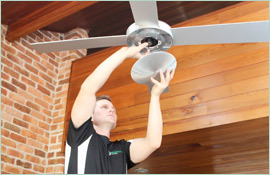 Ceiling fans must be connected to a home’s existing wiring to obtain power. Unless you are an electrician in Bondi yourself, you probably do not have the experience to wire the ceiling fan. Keep in mind that you are dealing with electricity, something that can be very dangerous especially when you do not have experience working with it. Save yourself time and get the work done correctly by hiring the professionals at Paul’s Electrical to finish the job. 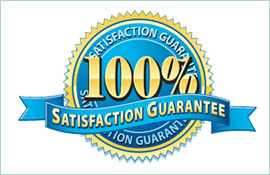 We have almost two decades of experience in the industry and our highly trained electricians can diagnose any problem and have it fixed very quickly. The same holds true for the installation of a ceiling fan or any other appliance. No job is too big or too small for us. 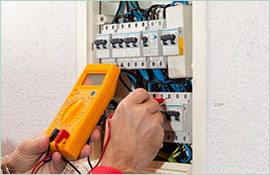 When dealing with electricity, it is best to leave the work to the professionals. Save yourself the hassle and the possibility of injury by hiring Paul’s Electrical as your electrician in Bondi to complete the installation and wiring for all of your major appliances. 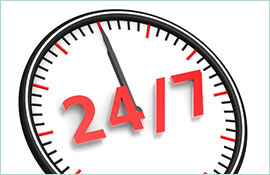 Call us to book service on 0409 337 439 or send us an email at paul@paulselectrical.com.au.